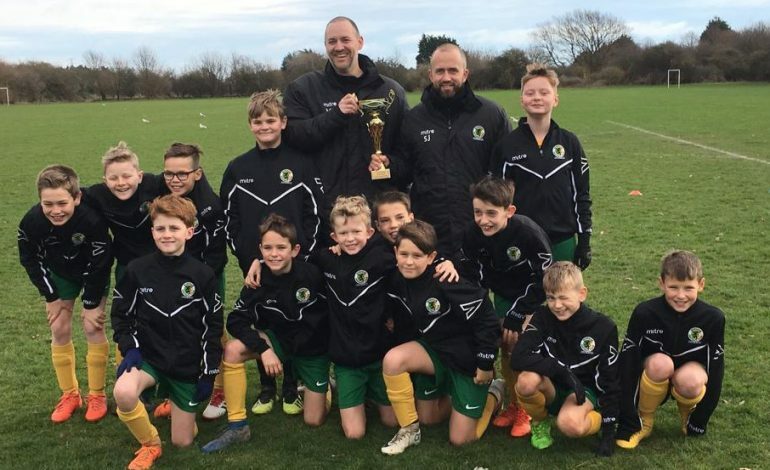 All players from both sides primarily battled the poor pitch conditions in the Presidents Cup Group A clash between Hornets U11 and Storrington Community. There was more mud than grass and this proved to be a leveller where fluid football was almost impossible. Storrington opened the scoring early in the first half as Horsham seemed to be slow off the mark but quickly recovered with a series of attacks and corners. Horsham’s equaliser came on thirteen minutes from a corner. The corner was defended as far as Harrison J who had pushed up centrally. His superbly accurate shot from outside the box found the back of the net which seemed to settle the Horsham side as they dominated the rest of the first half. Jack Y was the outlet for the majority of the attacking force. 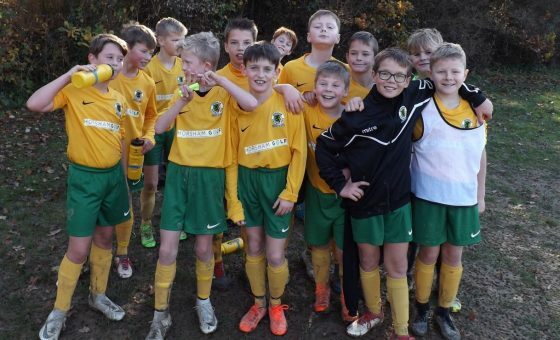 His man of the match performance was combining well down the right with Harry L, Dan B and Charlie L. His cross lead to the second goal as Dan dummied the ball allowing it to run through to Harry as he confidently put Horsham in to the lead. Jack Y also got on the scoresheet, adding Horsham’s third, and Dan B added a fourth as he followed up on the goalkeeper’s fumble. Both Jack and Dan had numerous attacks during the first half to increase the score and the result looked to be going only one way – in Horsham’s favour. As the half neared the end, Ryan A bravely defended an attack against their best player and prevented Storrington from getting back in to the match, at the expense of an injury. Sam had to reorganise the side as Liam B came central and Harrison took Ryan’s left defensive position. As the second half started, the mud was building up. Boots were clogged and the ground was getting heavy. The competition was turning in to which player would end the game the muddiest. That accolade fell to Zac R in goal with another solid display who was certainly less troubled than the opposing ‘keeper but always ready to confidently clear up any opposition shots. The second half added Jack McM and Alfie on the right. 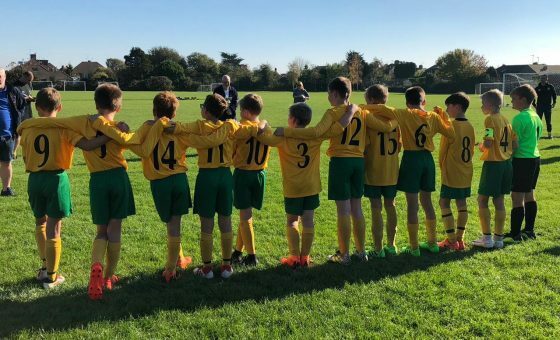 Dylan H had a great game-long battle with his opposite number nine on the left ensuring that most attacks from the middle of the field by Storrington were prevented. Storrington scored the only goal of the second half within five minutes of the restart. From that moment on, the pitch was causing all players problems and the football became a 50/50 game of chance. 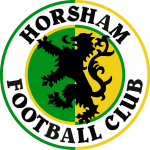 The best effort from Horsham in the second half was a shot from Jack McM which was tipped over the crossbar by the keeper. 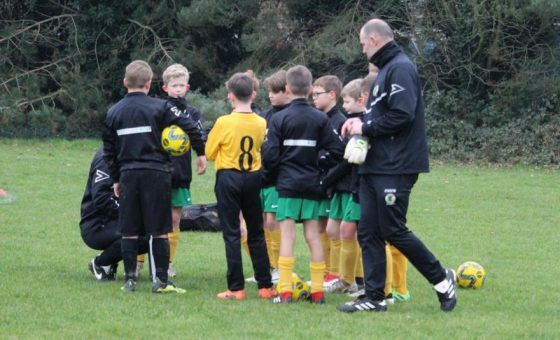 The win keeps Horsham Youth U11 as joint leaders of Group A.